As if PrettyQuick couldn't be more amazing they are launching a mobile app (available soon) and a rewards program! You might remember my fabulous PrettyQuick experience last month, but let me fill you in if this is your first introduction. PrettyQuick is truly the easiest and most rewarding way to book beauty services in Chicago without having to pick up the phone. Select your preferred service, location and salon and PrettyQuick does all the work to book your appointment. With the new iOS PrettyQuick app launching any day, editor-vetted salon openings are literally a click away. As a member you'll benefit from instant appointment confirmations, cashless payment including tip, and easily re-book a service at your favorite salon. 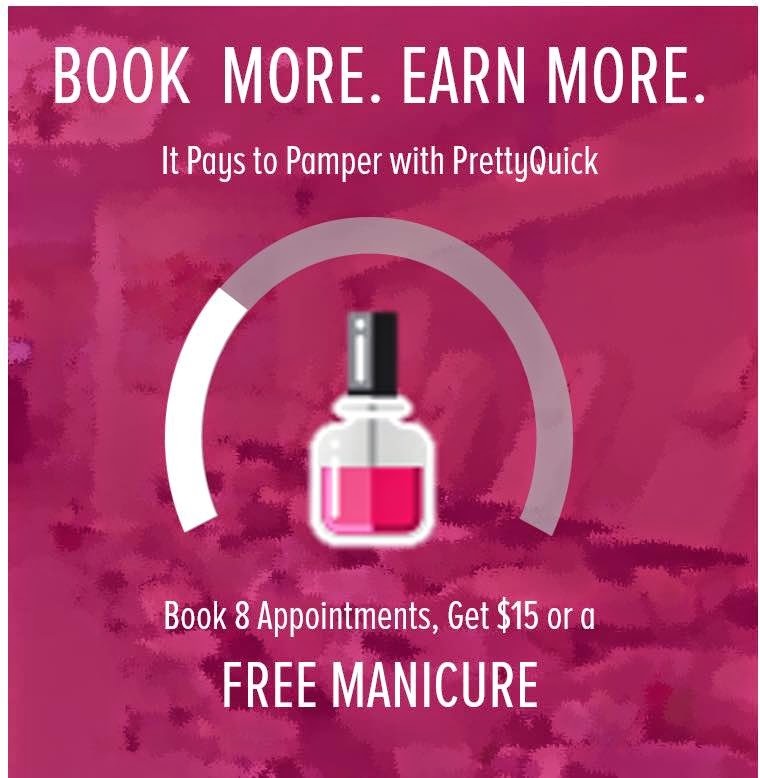 I'm also extremely excited for the PrettyQuick rewards program that offers a free manicure after 8 bookings. How amazing is that?! To celebrate the launch of the PrettyQuick app I'm hosting a giveaway for one (1) lucky reader to receive a $50 beauty credit to use on any PrettyQuick services! You can enter below via the Rafflecopter widget. The giveaway will close Friday, November 7, 2014 at 11:59pm EST and I'll choose a winner via Rafflecopter on Monday, November 10, 2014. This giveaway is open to U.S. residents only. Good luck! This post was sponsored by PrettyQuick. I do my best to only work with brands that I love and fit well with Project Soiree, and all opinions are always 100% honest and my own.